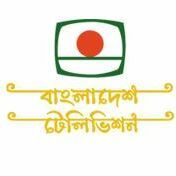 General TV Channel / Bangladesh Television, also known by the acronym BTV, is the state-owned Television network in Bangladesh. It started broadcasting as Pakistan Television in what was then East Pakistan on 25 December 1964. It was renamed Bangladesh Television after the independence in 1971. Broadcasts in full colour started in 1980. About 2 million televisions receive transmissions from the network's 17 relay stations. BTV has a national channel which is broadcast from Dhaka. This transmission is relayed to the whole country via local relay stations in major cities of the country. There is also a regional station located in Chittagong which broadcasts local programmes in the evening. In the mid-1990s the national TV channel started to broadcast the news programs of BBC and CNN. In 2004, BTV started worldwide broadcasts through its satellite based branch, BTV World. BTV is primarily financed through the television licence fees. Although it has produced many award-winning programmes, it has often been criticised for being the mouth-piece of the ruling government and their lack of quality entertaining programmes.